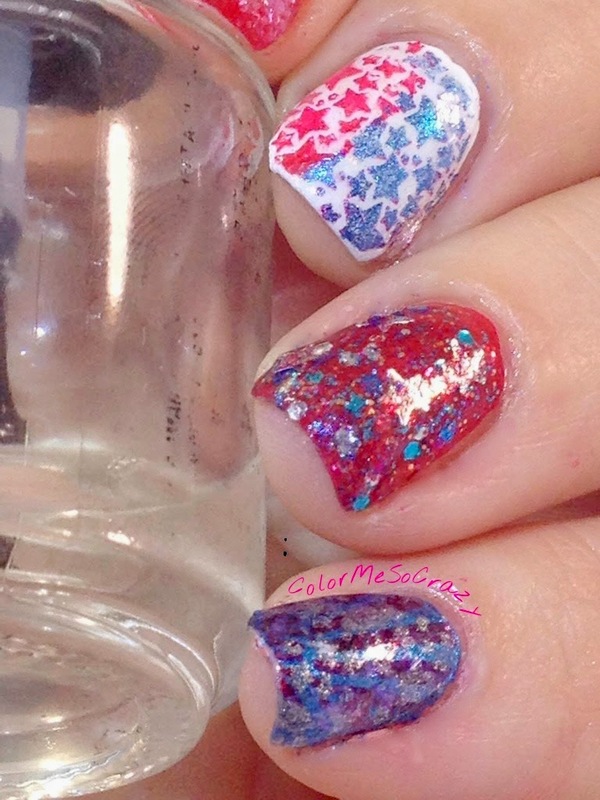 For this quick and easy design, I stamped a couple patriotic designs and glittered the heck out of my ring finger. I really like the USA colors of red, blue and white. I think they work really well complimenting each other and just look so sharp. Go USA!! I stamped a USA star on my index finger and topped it with Finger Paints flakie. For my middle finger, I stamped stars in both red and blue. 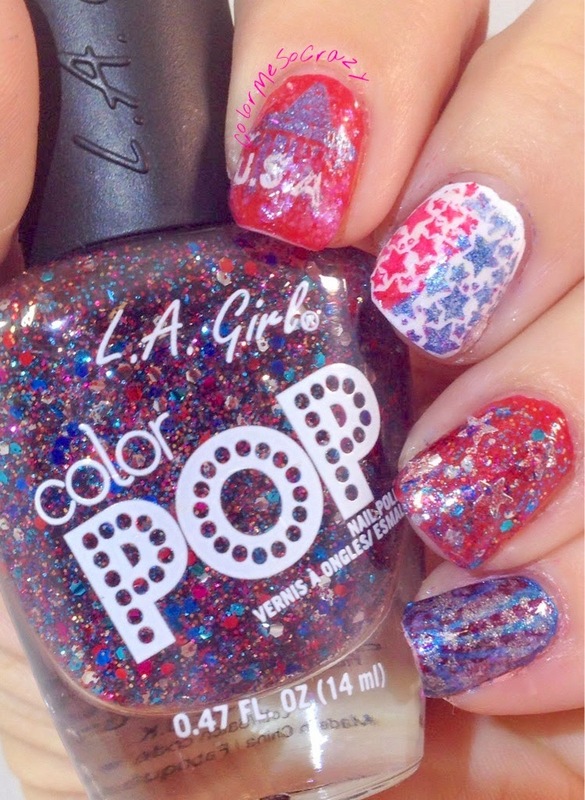 For my ring finger, I glittered the heck out of it with LA Girl- Celebrate, large loose star glitter and the Finger Paints flakie. For my pinkie, I stamped a star burst in red and then stamped silver stars on top.